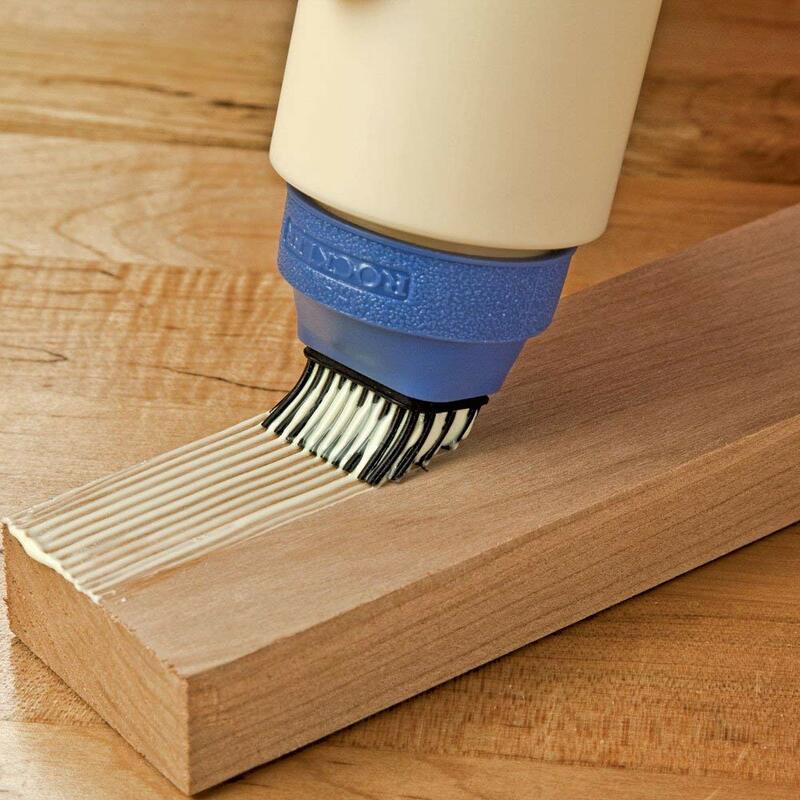 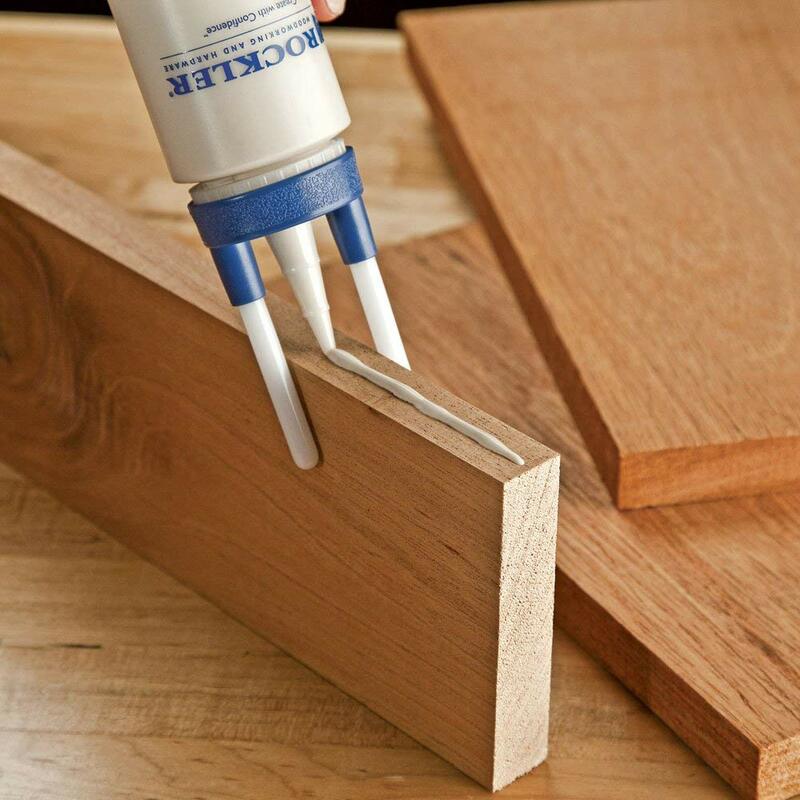 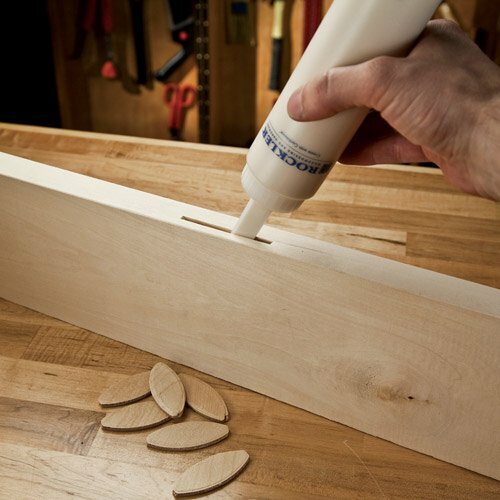 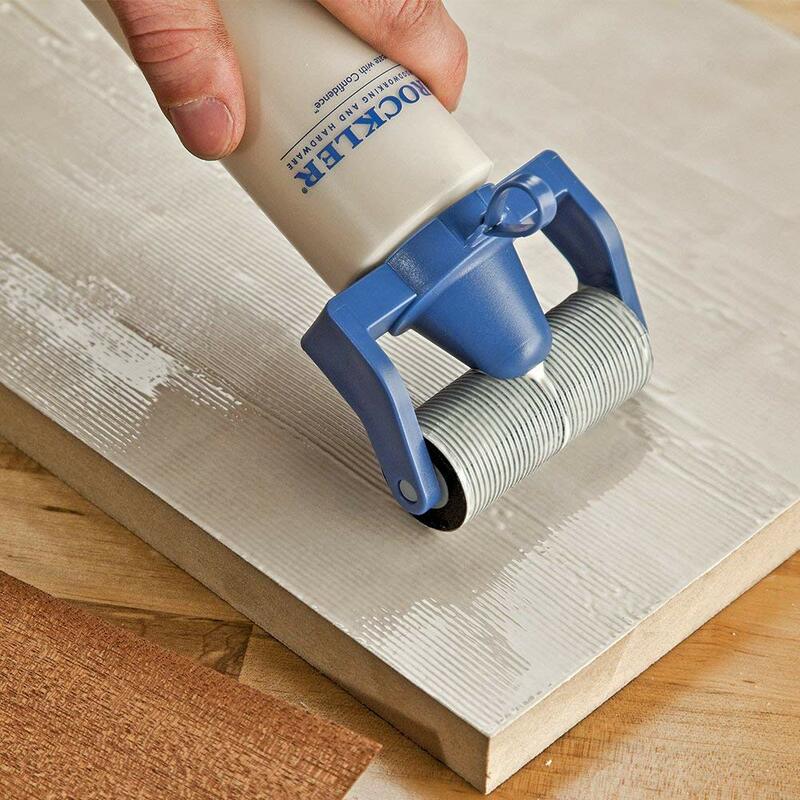 With four glue applicators included—a Standard Glue Spout, a silicone brush for wider boards, a roller for very wide boards, and a mortise tip for traditional mortises, domino mortises and biscuit slots—this kit lets you deposit glue precisely where you want it, with minimal squeeze-out. 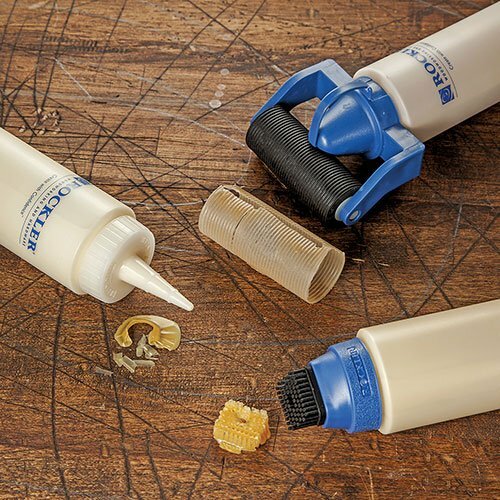 The centering attachment fits onto the Standard Spout to keep your glue bead locked on center when edge gluing, while the funnel makes transferring glue from jug to bottle a mess-free experience. 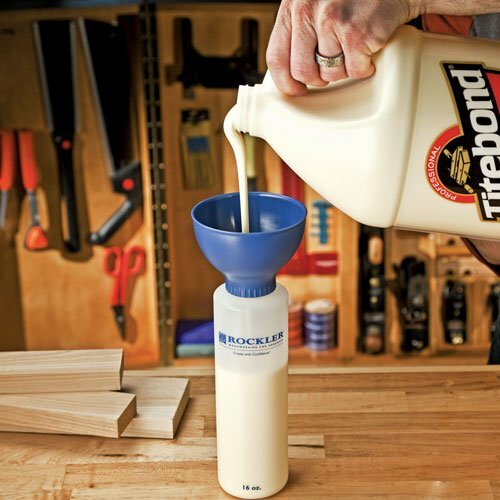 Attachments also fit onto Titebond 16 and 32 oz glue bottles. 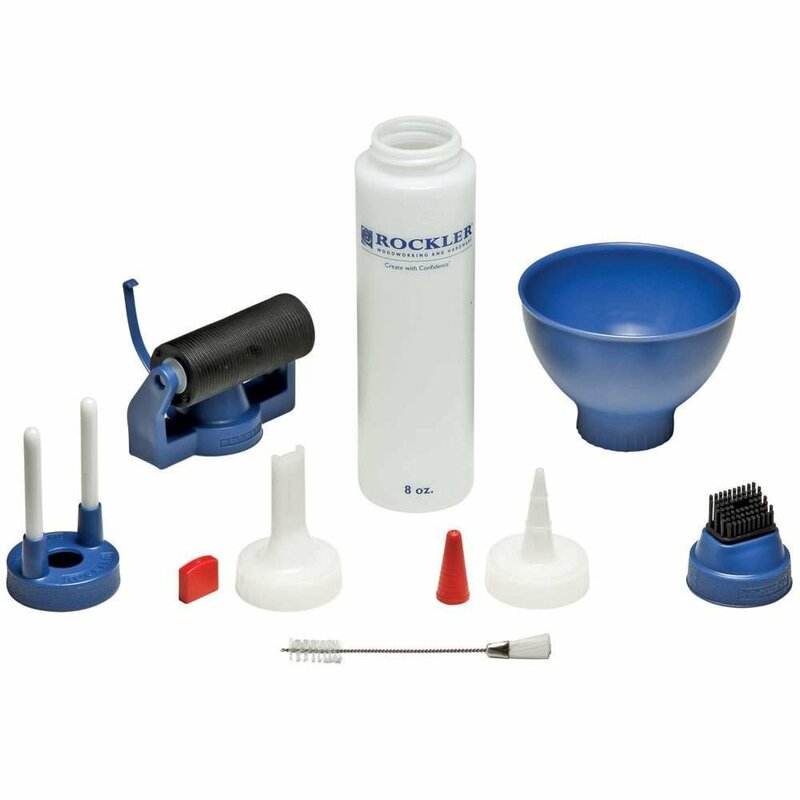 All attachments are made from easy to clean materials: HDPE plastic, polypropylene, silicone and thermoplastic rubber.